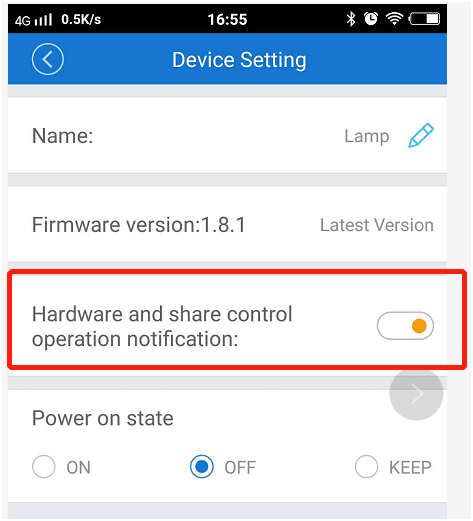 If you can not receive push notification, please follow the steps to receive operation notification. 1.Check if your cellphone is in power-saving mode. If so, please diable it. 2. 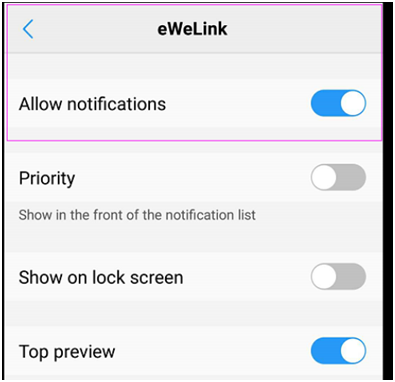 Enter the settings of your mobile device and check if you have given all the permissions to eWeLink app. See the pic below. 3. Open ‘EWeLink’ app, tap ‘Device Setting’ , enable ‘Operation notification’ and switch on ‘Allow notifications’. See the pic below. 4. Keep the screen of your smart device on and check if you are receiving any notification. When the above attempts fail, feel free to submit a feedback and we will reach out as soon as possible.